Abstract: Microprocessor performance has improved rapidly these years. In contrast, memory latencies and bandwidths have improved little. The result is that the memory access time has been a bottleneck which limits the system performance. As the speed of fetching data from memories is not able to match up with speed of processors. So there is the need for a fast memory controller. The responsibility of the controller is to match the speeds of the processor on one side and memory on the other so that the communication can take place seamlessly. Here we have built a memory controller which is specifically targeted for SDRAM. Certain features were included in the design which could increase the overall efficiency of the controller, such as, searching the internal memory of the controller for the requested data for the most recently used data, instead of going to the Memory to fetch it. The memory controller is designed which compatible with Advanced High-performance Bus (AHB) which is a new generation of AMBA bus. The AHB is for high-performance, high clock frequency system modules. The AHB acts as the high-performance system backbone bus. AHB supports the efficient connection of processors, on-chip memories and off-chip external memory interfaces with low-power peripherals. Keywords: SDRAM, Memory controller, AMBA, FPGA, Xilinx, Modelsim. 2. Micron Technology Inc.Synchronous DRAM Data Sheet,2001. 3. ARM, AMBA Specification Rev.2.0, 1999. 4. “Memory Controllers for Real-Time Embedded systems” Benny Akesson Kees Goossens vol. 3, no. 3, pp. 75–77, Mar1999. 5. Hynix Semiconductor Inc., SDRAM Device operationRev.1.1, Sep. 2003. 6. Samir Palnitkar, Pearson 2nd edition “Verilog HDL, A Guide to Digital Design and Synthesis. Abstract: Controller Area Network (CAN) is used extensively in automotive applications, with in excess of 400 million CAN enabled microcontrollers manufactured each year. CAN messages could be calculated and hence guarantees provided that message response times would not exceed their deadlines. This seminal research has been cited in over 200 subsequent papers and transferred to industry in the form of commercial CAN schedulability analysis tools. These tools have been used by a large number of major automotive manufacturers in the design of in-vehicle networks for a wide range of cars, millions of which have been manufactured over the last 8 years. This paper shows that the original schedulability analysis given for CAN messages is flawed. It may provide guarantees for messages that will in fact miss their deadlines in the worst-case. This paper provides revised analysis resolving the problems with the original approach. Further, it highlights that the priority assignment policy, previously claimed to be optimal for CAN, is not in fact optimal and cites a method of obtaining an optimal priority ordering that is applicable to CAN. The paper discusses the possible impact on commercial CAN systems designed and developed using flawed schedulability analysis and makes recommendations for the revision of CAN schedulability analysis tools. The CAN Sniffer Tool is a simple to use low cost CAN bus monitor which can be used to develop and debug a high speed CAN network. The tool supports CAN 2.0b and ISO11898-2 and a broad range of functions which allow it to be used across various market segments including automotive, industrial, medical and marine. The toolkit comes with all the hardware and software required to connect a CAN network to a PC. In CAN bus, the two CAN channels can send/receive CAN messages either with extended or standard ID. All messages received by the CAN interface are sent via UART to the serial port of PC. On the PC the CAN-messages get collected and ordered by CAN-ID. In CAN the communication is done in two-wire, the CAN sniffer can receives the messages based on arbitration process. Keywords: CAN, UART, CAN-ID, PC. 1. N.C. Audsley, "Optimal priority assignment and feasibility of static priority tasks with arbitrary start times", Technical Report YCS 164, Dept. Computer Science, University of York, UK, December 1991. 2. R.J. Bril. “Existing worst-case response time analysis of real-time tasks under fixed-priority scheduling with deferred pre-emption is too optimistic”. CS-Report 06-05, Technische Universiteit Eindhoven (TU/e) The Netherlands, February 2006. 4. S. Punnekkat, H. Hansson, C. Norstrom. “Response time analysis under errors for CAN”. In Proceedings 6th Real-Time Technology and Applications Symposium, pp. 258-265, IEEE Computer Society Press May/June 2000. 5. J. Lehoczky. “Fixed priority scheduling of periodic task sets with arbitrary deadlines”. In Proceedings 11th IEEE Real-Time Systems Symposium, pp. 201–209, IEEE Computer Society Press, December 1990. 6. K.W. Tindell and A. Burns. “Guaranteeing message latencies on Controller Area Network (CAN)”, In Proceedings of 1st International CAN Conference, pp. 1-11, September 1994. Abstract: Orthogonal Frequency Division Multiplexing (OFDM) is one of the most promising technique for today’s wireless broadband communication systems.3GPP’s LTE was the first to adopt OFDM as its downlink technique. One of the major disadvantageisitshighpeak-to- averagepowerratio(PAPR). 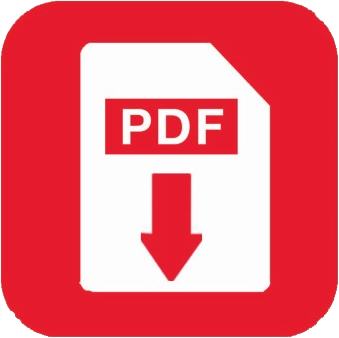 In this paper various PAPR Reduction Techniques are discussed along with their advantages, disadvantages and improvements done so far. Techniques like clipping, Companding, Selective Mapping (SLM), Interleaving, Tone Reservation (TR), Tone Injection (TI), Partial Transmit Sequence (PTS), etc. 21. Bauml, R., Fischer, R., and Huber, J., "Reducing the peak-to-average power ratioof multicarrier modulation by selected mapping," IEE Electronics Letters, vol. 32, pp. 2056 -2057, Oct. 1996. 41. B. S. Krongold and D. L. Jones, “PAR reduction in OFDM via active constellation extension,” IEEE Trans. Broadcast., vol. 49, no. 3, pp. 258–268, Sep. 2003. 42. Kamal Singh, ManoranjanRaiBharti, SudhanshuJamwal, “A modified PAPR reduction scheme based on SLM and PTS Techniques” IEEE Explore 2012. 43. Di-xiao Wu, “Selected Mapping and Partial Transmit Sequence Schemes to Reduce PAPRin OFDM Systems” IEEE Explore 2011. 45. Stefan H. Muller and Johannes B. Huber, “A Comparison of Peak Power Reduction Schemes For Ofdm” IEEE Explore 1997. Abstract: The objective of this paper is to propose a multi-input power converter for the hybrid system in order to simplify the power system and reduce the cost. The proposed converter interfaces two unidirectional input ports and a bidirectional port for storage element in a unified structure. It also utilizes four power switches that are controlled independently with four different duty ratios. The renewable power system hybridizes PV and Wind as main source & Battery Power for backup energy source. Three different power operation modes are defined for the converter based on utilization state of the battery as follows: 1) An operation type wherein power is delivered to load from hybrid renewable energy sources; 2)A single type wherein only one renewable energy source supplies power to the load with battery discharging; 3) An operation type wherein power is delivered to load from renewable sources along with battery charging. A simple and cost effective control with DC-DC converter is used for maximum power point tracking (MPPT) and hence maximum power is extracted from the source .The integration of the hybrid renewable power system is implemented and simulated using MATLAB/SIMULINK. Keywords: Photovoltaic (PV)/Wind/Battery sources, hybrid power system, State Of Charge(SOC), Multi input power converter, Maximum Power Point Tracking (MPPT). 1. J. L. Duarte, M. Hendrix, and M. G. Simoes, “Three-port bidirectional converter for hybrid fuel cell systems,” IEEE Trans. Power Electron., vol. 22, No. 2, Mar. 2007. 3. F. Valencaga, P. F. Puleston, and P. E. Battaiotto, “Power control of a solar/wind generation system without wind measurement: A passivity/ sliding mode approach,” IEEE Trans. Energy Convers., vol. 18, No. 4, Dec. 2003. 4. X. Huang, X. Wang, T. Nergaard, J. S. Lai, X. Xu, and L. Zhu, “Parasitic ringing and design issues of digitally controlled high power interleaved boost converters,” IEEE Trans. Power Electron., vol. 19, No. 5, pp. 1341–1352, Sep. 2004. 5. K. Rajashekara, “Hybrid fuel-cell strategies for clean power generation,” IEEE Trans. Ind. Appl., vol. 41, No. 3,June 2005. 6. F. Valenciaga and P. F. Puleston, "Supervisor control for a stand-alone hybrid generation system using wind and photovoltaic energy," IEEE Trans. Energy Conversion, vol. 20, June 2005. 7. J. M. Carrasco, L. G. Franquelo, J. T. Bialasiewicz, E. Galvan, R. C. PortilloGuisado, M. A. M. Prats, J. I. Leon, and N.Moreno-Alfonso, “Power-electronic systems for the grid integration of renewable energy sources: A survey,” IEEE Trans. Ind. Electron., vol. 53, No. 4, June . 2006. 8. K. N. Reddy and V. Agrawal, “Utility-interactive hybrid distributed generation scheme with compensation feature,” IEEE Trans. Energy Convers., vol. 22, No. 3, Sep. 2007. 9. H. Tao, J. L. Duarte, andM. A.M. Hendrix, “Three-port triple-half-bridge bidirectional converter with zero-voltage switching,” IEEE Trans. Power Electron., vol. 23, No. 2, Mar. 2008. 10. O. C. Onara,M. Uzunoglu, andM. S. Alam, “Modeling, control and simulation of an autonomous wind turbine/photovoltaic/fuel cell/ultra capacitor hybrid power system,” J. Power Sources., vol. 185, No. 2, Apr.2008. 11. Khaligh, J. Cao, and Y. J. Lee, “A multiple-input DC–DC converter topology,” IEEE Trans. Power Electron., vol. 24, no. 3, Mar. 2009. 14. Farzam Nejabatkhah, Saeed Danyali, Seyed Hossein Hosseini,Mehran Sabahi, and Seyedabdolkhalegh Mozaffari Niapour, “Modeling and Control of a New Three-Input DC–DC Boost Converter for Hybrid PV/FC/Battery Power System” IEEE Trans . Power Electron., vol .27, NO. 5, May 2012. Abstract: Body language is a form of communication between human beings. Facial expressions are a form of nonverbal communication. Facial expressions can often communicate a person's mood than a word. Here, the authors extract the facial features from facial points. Extracted feature points are tracked using a cross-correlation based optical flow to extract feature vectors. These vectors are used to categorize expressions, using RBF neural networks and Fuzzy Inference System. Recognition results from two classifiers are compared with each other. 1. P. Ekman and W.V. Friesen, Facial Action Coding System (FACS) (Consulting Psychologists Press, Inc., 1978). 2. M. Yoneyama, Y. Iwano, A. Ohtake, and K. Shirai, “Facial Expression Recognition using Discrete Hopfield Neural Networks” (Proc. Int'l Conf. Information Processing, Vol. 3, 1997), pp. 117-120. 3. M. J. Black and Y. Yacoob, “Recognizing Facial Expression in Image Sequences using Local Parameterized Models of Image Motion” (Int'l J. Computer Vision, Vol. 25, No.1, 1997), pp.23-48. 4. H. Kobayashi and F. Hara, “Facial Interaction between Animated 3D Face Robot and Human Being” (Proc. Int'l Conf. Systems, Man, Cybernetics, 1997), pp. 3732-3737. 5. J. F. Cohn, A.J. Zlochower, J.J. Lien, and T. Kanade, “Feature-Point Tracking by Optical Flow Discriminates subtle Difference in Facial Expression” (Proc. Int'l Conf. Automatic Face and Gesture Recognition). 6. Senthil Ragavan V K and Venkatesh C, “Facial Expressions Recognition using Eigenspaces”, (Journal of Computer Science, Vol 8, No. 10, 2012), pp.1674-1679. 8. T. Kanade, J. Cohn and Y. Tian. Comprehensive database for facial expression analysis, 2000. 9. J. Moody and C. Darken, “Learning with Localized receptive fields” (Proc. 1988 Connectionist Models Summer School. San Matco. CA: Morgan-Kaufmann 1988). Iranian conf. on Machine Vision and Image Processing (MVIP 2003) ,Tehran, 2003). Keywords: Coupling, Genetic Algorithm, Quality, Security, Software Metrics. 1. j. Bansiya and C. G. Davis, “A hierarchical model for object-oriented design quality assessment,” IEEE Transactions on Software Engineering, vol. 28, pp. 4–17, 2002 ..
4. Chowdhury, B. Chan, and M. Zulkernine, “Security metrics for sourcecode structures,” in Proceedings of the Fourth International Workshop onSoftware Engineering for Secure Systems, (Leipzig, Germany), ACM, 2008..
5. Smriti Jain, “A Review of Security Metrics in Software Development Process” et al / (IJCSIT) International Journal of Computer Science and Information Technologies, 2011. 6. IstehadChowdhury, Mohammad Zulkernine “Can Complexity, Coupling, and Cohesion Metrics be Used as Early Indicators of Vulnerabilities?” ACM 2010. 10. AmjanShaik,C. R. K. Reddy, BalaManda, Prakashini. C, Deepthi. K, “An Empirical Validation of Object Oriented Design Metrics in Object Oriented Systems” Journal of Emerging Trends in Engineering and Applied Sciences (JETEAS) ,(ISSN: 2141-7016). 13. Rüdiger Lincke, Jonas Lundberg and Welf Löwe,“Comparing Software Metric Tools”, 2008 ACM 978-1-59593-904-3/08/07. 14. Lionel C. Briand Jie Feng Yvan Labiche," Using Genetic Algorithms and Coupling Measures to Devise Optimal Integration Test Orders" SEKE '02, July 15-19, 2002, Ischia, Italy. ACM 1-58113-556-4/02/0700. Abstract: Identifying the correct reference to an entity among a list of references is required in lots of works such as information retrieval, sentiment analysis, person name disambiguation as well as in biomedical fields. More previous work had been done on solving lexical ambiguity here we proposed a method that is based on referential ambiguity. In this paper we proposed a method which is based on referential ambiguity to extract correct alias for a given name. Given a person name and/or with context data such as location, organization retrieves top K snippets and depth up to level two from a web search engine. With the help of Lexical pattern extract candidate aliases. As to find correct alias from a list of aliases we used n-depth crowling method. This method is useful to improve the precision and minimize the recall than the previous baseline method. Keywords: Web mining, web text analysis, text mining, n-depth crawling. 1. Danushka Bollegala, YutakaMatsuo and IitsuruIshizuka, Member , IEEE, Automatic Discovery of Personal Name Aliases from the Web, IEEE Transaction on knowledge and data engineering, vol. 23, no. 6, June 2011. 2. Dmitri V. Kalashnikov Zhaoqu Chen Rabia Nuray – Turan Sharad Mehrotra Zheng Zhang, Web People Search via connection Analysis, IEEE International Conference on Data Engineering, 2009. 3. Bagga and B. Baldwin, Entity-Based Cross-Document Coreferencing using the vector space model, Proc. Int’s Conf. Computational linguistics (COLING ’98), pp. 79-85, 1998. 4. T. Hokama and H. Kitagawa, Extracting Mnemonic Names of People from the Web, Proc. Ninth Int’l Conf. Asian Digital Libraries (ICADL ‘ 06), pp. 121-130, 2006. 5. C. Galvez and Fg. Moya-Anegon, Approximate Personal Name Matching through Finite State Graphs, J. Am. Soc. Fro Information Science and Technology, vol. 58, pp. 1-17, 2007. 6. Christian Borgelt, Graph Mining: An Overview, Proc, 19th GMA/GI Workshop Computational Intelligence, Germany, 2009. Abstract: In order to implement the vector control technique, the motor speed information is required. Tachogenerators, resolvers or incremental encoders are used to detect the speed. These sensors require careful mounting and alignment and special attention is required with electrical noises. Speed sensor needs additional space for mounting and maintenance and hence increases the cost and the size of the drive system .These problems are eliminated by speed sensorless vector control by using model reference adaptive system. Model reference adaptive system is a speed estimation method having two models namely reference and adaptive model .The error between two models estimates induction motor speed. This project proposes a Model Reference Adaptive System (MRAS) for estimation of speed of induction motor. An Induction motor is developed in stationary reference frame and Space Vector Pulse Width Modulation (SVPWM) is used for inverter design. PI controllers are designed controlling purpose. It has good tracking and attains steady state response very quickly which is shown in simulation results by using MATLAB/SIMULINK. 1. Abbondanti, A. and Brennen, M.B. (1975). “Variable speed induction motor drives use electronic slip calculator based on motor voltages and currents”. IEEE Transactions on Industrial Applications, vol. IA-11, no. 5: pp. 483-488. 2. Nabae, A. (1982). “Inverter fed induction motor drive system with and instantaneous slip estimation circuit”. Int. Power Electronics Conf., pp. 322-327. 3. Jotten, R. and Maeder, G. (1983). “Control methods for good dynamic performance induction motor drives based on current and voltages as measured quantities”. IEEE Transactions on Industrial Applications, vol. IA-19, no. 3: pp. 356-363. 4. Amstrong, G. J., Atkinson, D. J. and Acarnley, P. P. (1997). “A comparison of estimation techniques for sensorless vector controller induction motor drives”. Proc. Of IEEE-PEDS. 5. Wang yaonan,lu jintao,haung shoudao(2007).”speed sensorless vector control of induction motor based on MRAS theory”. 6. Dao hung anh; pham dinhtruc(2005) .”Model reference adaptive system based sensorless control of induction motor”. 8. “Electric motor drives modeling, analysis and control” by R.KRISHNAN. Abstract: E-Commerce is the purpose of Internet and the web to conduct business. E-Commerce is the future of the businesses of 21st Century. But E-Commerce companies are facing big problems at the time of providing products to customers online. The problem is not about the quality of the products, but the information is not reaching to the customers easily and whatever information is available on the web sites of the companies that are not satisfying the traditional product purchase habit of the customer. Now the need arise to redefine the quality in the applications of the web sites as well as the implementation issues that become hurdle in E-Commerce business activities. The global and Indian E-Commerce sales statistics shows the internet penetration worldwide and E-Commerce Users World Statistics to address the reasons why the people have not accepted E-Commerce in India. The study addresses to various quality issues of the web sites which are neglected to fulfill the requirements of thee customers, and propose Total Quality Management (TQM) implementation as the best solution to sort out the issues. 6. J.J.Oschman, E.C.Stroh, “A Conceptual Analysis of Total Quality Management(TQM)”, Department of Public Administration and Management, University of South Africa. 9. Mukesh Purohit and Vishnu Kant Purohit, “E-Commerce on Economic Development” Foundation for Public Economics and Policy Research. 17. Aashit Shah and Parveen Nagree, “Legal Issues of E-Commerce”, Nishith Desai Associates. 19. YANG Hongbin, CAO Jingjing, “B2E Portal Integration Conceptual Architecture Framework”, Economics and Management School, North University of China. 24. J.J.Oschman(2004), “A Framework for The Implementation of Total Quality Management in The South African Air Force”, A Thesis submitted to University of South Africa. 25. Hendrik Voiht, Baris Guldali and Gregor Engels(2008)“Quality Plans for Measuring Testability of Models”, 11th International Conference on Quality Engineering in Software Technology, Vol. 15, pp 353-370. Abstract: A Space Vector Pulse Width Modulation (SVPWM) based Direct Torque Control (DTC) of Dual Inverter Fed Open End Winding Induction Motor is analyzed in this paper. A SVPWM based, 3 level phase voltages are generated with two individual two level inverters. In this method, first inverter pulses are generated normally and second inverter pulses are generated with 180 degrees phase shift. But at a particular state of switching first inverter is switched in all states and second inverter is clamped to that active state. In the next state of switching the second inverter is switched in all states and first inverter is clamped to corresponding active state. One inverter output is superimposed on the other inverter, resulting a 3-level line voltage waveform for the induction motor. The imaginary switching time concept is used in the proposed method. It does not require any procedures for calculation of regions in space voltage vector and angle calculations sector identification. The imaginary switching time greatly reduces the complexity of the algorithm. Simulation studies have been carried out for the proposed scheme and results are presented. Keywords: DTC, Dual Inverter, NSHC Algorithm, OEWIM, SVPWM. 1. EG Shivakumar, K Gopakumar, SK Sinha, VT Rangnathan, “Space Vector PWM Control of Dual Inverter Fed Open-End Winding Induction Motor Drive,” IEEE-APEC, Vol.1, 2001, pp 399-405. 2. I Takahashi and T Noguchi, “A New Quick- Response and High-Efficiency Control of an Induction Motor,” IEEE Trans. Industry Applications, Vol. IA-22, No.5, 1986, pp 820-827. 3. I Takahashi and Youchi Ohmori, “High- Performance Direct Torque Control of an Induction Motor,” IEEE Trans. Industry Applications, Vol. IA-25, No.2, 1989, pp 257-264. 4. Janssen, M. Steimel, A. “Direct Self Control With Minimum Torque Ripple and High Dynamics for Double three-level GTO Inverter Drive,” IEEE Trans. On Industrial Electronics, Vol.49, No.5, 2002, pp 1065-1071. 5. Brain A Welchko and James M Nagashima, “A Comparative Evaluation of Motor Drive Topologies for Low-Voltage, High-Power EV/HEV Propulsion Systems,” IEEE International Symposium on Industrial Electronics, ISIE’03, Brazil, 2003, pp 1-6. 6. Arbind Kumar, BG Fernandes, K Chatterjee, “DTC of Open-End Winding Induction Motor Drive Using Space Vector Modulation With Reduced Switching Frequency,” IEEE-PESC, 2004, pp 1214-1219. 8. G.Satheesh, T. Bramhananda Reddy and Ch. Sai Babu, “Novel SVPWM Algorithm for Open end Winding Induction Motor Drive Using the Concept of Imaginary switching Times” IJAST, Vol. 2, No.4, 2011, pp 44- 92. 9. G.Satheesh, T. Bramhananda Reddy and Ch. Sai Babu.” Three Level Voltage Generation for Dual Inverter Fed Open End Winding Induction Motor drive. ” IJEST, Vol. 3 No. 5 May 2011, pp 3982-3991. 11. D. W. Chung, J. S. Kim and S. K. Sul, “Unified Voltage Modulation Technique for Real-Time Three-Phase Power Conversion”, IEEE-Trans. on Ind.Appl, Vol.34, No.2, pp.374-380 (1998). 12. S.Srinivas and V.T.Somasekhar, “Space Vector Based PWM switching strategies for a 3 level dual inverter fed open end winding induction m otor drive and their comparative evaluation” IET-Electr. Power Appl., VOl2, No.1, January 2008, PP19-31. 14. J.S.Kim, S.Kltage Modulation technique of the space vector PWM”, IPEC Yokohama-95, pp742-747. Abstract: Recognition of Radio Channel (channel Parameters) is one of Main Challenges in Signal Transformation, and has important role in cognitive radio approach. Goal of this paper is “Channel modeling” to estimate coefficients of transmission functions affected on data being transformed in the channel. We use Multilayer perceptron(MLP) Neural Network with Back-propagation learning algorithm, block-structured Neural Network with Least Squares(LS) method(cost function) and a multilayer neural network with multiple back-propagation(MBP) learning algorithm for error estimation. These networks will be trained with received signals to be compatible with channel, then give us an estimation of these coefficients. Simulation will show that this MBP method is better than the other two method in error estimation. It has good performance and also consume less execution time. Then, we will use this network for estimating coefficients of non-linear transmission functions of actual radio channel. Keywords: Cognitive Radio, Channel Recognition, Channel Modeling, Least Squares, Multiple Back-propagation (MBP), Neural Network, Transmission function. 1. E. Hossain, D. Niyato, and Z. HAN, Dynamic Spectrum Access and Management in Cognitive Radio Networks, Cambridge University Press, 2009,USA. 2. M. Ibnkahla, Adaptive Signal Processing in Wireless Communications, CRC Press, Talor & Francis Group, LLC, 2009, USA. 3. M. Biguesh, and Alex. B. Gershman, “Training-Based MIMO Channel Estimation: A Study of Estimator Tradeoffs and Optimal Training Signals”, IEEE Transactions on Signal Processing, Vol.54, No.3, pp 1-5, March 2006. 4. H. Minn, and N. G. Al-Dhahir, “Optimal Training Signals for MIMO OFDM Channel Estimation”, IEEE, pp 2-3, 2004. 5. Omri, and R. Bouallegue, R. Hamila, and M. Hasna, “Channel Estimation for LTE Uplink System by Perceptron Neural Network”, International Journal of Wireless & Mobile Networks(IJWMN), Vol 2., No 3., pp 2-7, August 2010. 6. S. Theodorodis, and K. Koutroumbas, Pattern Recognition, Second Edition, Elsevier Academic Press, 2003, USA. Abstract: This paper presents a set of rules that allows software engineers to transform the behavior described by a UML 2.0 Activity Diagram (AD) into a Colored Petri Net (CPN). ADs in UML 2.0 are much richer than in UML 1.x, namely by allowing several traces to be combined in a unique diagram, using high-level operators over interactions. The main purpose of the transformation to Petri nets is to use the theoretical results in the Petri nets domain to analyze the equivalent Petri nets and infer properties of the original workflow. Thus, non-technical stakeholders are able to discuss and validate the captured requirements. The usage of this model is an important topic , since it permits the user to discuss the system behavior using the problem domain language. A small control application from industry is used to show the applicability of the suggested rules. Keywords: Activity Diagram, Petri Nets, Colored Petri Nets, Verification and Validation. 1. , K.: Coloured Petri Nets. Basic Concepts, Analysis Methods and Practical Use. Brauer, W. and Gozenberg, G. and Salomaa edn. Volume Volume 1, Basic Concepts of Monographs in Theoretical Computer Science. Springer-Verlag (1997) ISBN: 3-540-60943-1. 5. Harald Storrle, Semantics of UML 2.0 Activities Workflow management coalition [Online]. 7. Machado, R.J., Lassen, K.B., Oliveira, S., Couto, M., Pinto, P.: Execution of UML Models with CPN Tools for Workflow Requirements Validation. In: Sixth Workshop and Tutorial on Practical Use of Coloured Petri Nets and the CPN Tools.(2005). 8. Zhou CH,The modeling of UML diagrams based on the Petri Net[M], Shandong University of Science and Technology. 2004: 19-31. 9. Adamski, M.: Direct Implementation of Petri Net Specification. In:7th International Conference on Control Systems and Computer Science. (1987) 74–85. 10. Carl Adam Petri and Wolfgang Reisig (2008) Petri net. Scholarpedia, 3(4):6477. 11. P. Küngas. Petri Net Reachability Checking Is Polynomial with Optimal Abstraction Hierarchies. In: Proceedings of the 6th International Symposium on Abstraction, Reformulation and Approximation, SARA 2005, Airth Castle, Scotland, UK, July 26–29, 2005. 13. J.L. Peterson. Petri net theory and the modeling of systems. Prentice Hall, Englewood Cliﬀs, 1981. Abstract: This paper is a review of the block matching algorithms. The motion estimation algorithm is one of the most important issues in the video coding standards. To achieve a high compression ratio in coding video data, a method known as Motion Estimation (ME) is often applied to reduce the temporal redundancy between successive frames of a video sequence. This paper shows implementations and comparison of different types of block matching algorithms that range from the very basic Exhaustive Search to the recent fast adaptive algorithms. Keywords: Block matching, motion estimation, video compression, H.261. .
1. Aroh Barjatya, Student Member, IEEE “Block Matching Algorithms For Motion Estimation”,DIP 6620 Spring 2004 Final Project Paper 2. 2. T. Koga, K. Iinuma, A. Hirano, Y. Iijima, and T. Ishiguro, “Motion compensated interframe coding for video conferencing,” in Proc. NTC 81, pp. C9.6.1-9.6.5, New Orleans, LA, Nov./Dec. 1981. 3. 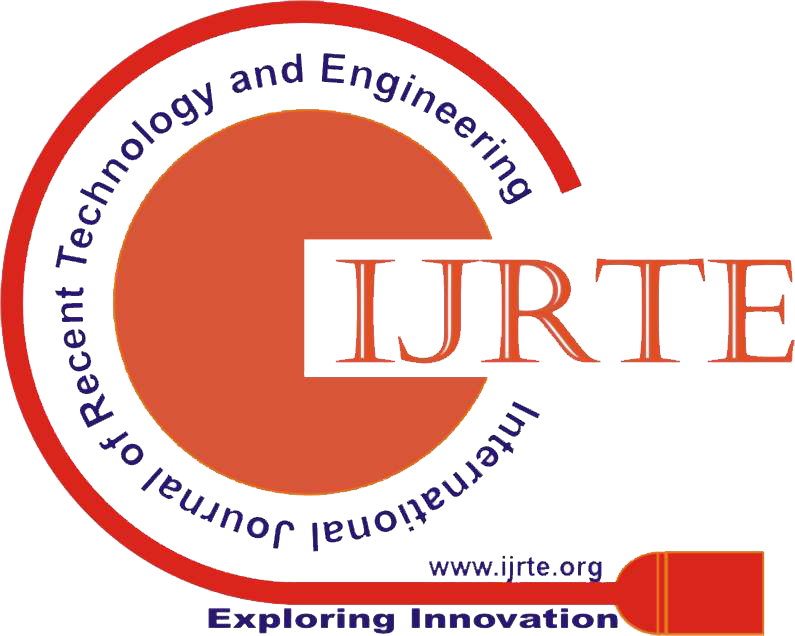 Amish Tankariya , Prof. Mukesh Tiwari and Prof. Jaikaran Singh Department of Electronics & Communication Engineering, SSSIST- Sehore, Bhopal,, (M.P), “International Journal on Emerging Technologies” (IJET)(0975-8364). 4. S. Zhu and K.-K. Ma, “A New Diamond Search Algorithm. for Fast Block-Matching Motion Estimation,” IEEE. Transactions on Image Processing, vol. 9, no. 2, pp.287-290, Feb. 2000. 5. K. H.-K. Chow and M. L. Liou, “Genetic motion search algorithm for video compression,” IEEE Trans. Circuits Syst. Video Technol., vol. 3, pp. 440–445, Dec. 1993. 6. Liang-Wei Lee, Jhing-Fa Wang, Jau-Yien Lee, andJung-Dar Shie,” Dynamic Search-Window Adjustment and Interlaced Search for Block-Matching Algorithm” IEEE Transactions on Circuits and Systems for video Technology. VOL. 3. NO I . FEBRUARY 1093. Abstract: Nowadays, computer interaction is mostly done using dedicated devices. Abundant amount of input devices are used to interact with the computer world or more precisely saying to digital world and very less through gestures made by body movements. Concepts of assistive technology are one of them used for controlling the input from mouse movements, like by detecting the eye, hand, face etc movements of a user with the help of eye tracking system, hand gestures through wearable devices, etc. Our focus is in moving mouse cursor on the screen without using any hardware which is used very often now-a-days i.e. mouse. We use the newly born technology for this purpose. We implement computer mouse movement through finger by image processing using latest Technology which gets processed in MATLAB without and with using gesture recognition. 1. Sushmita Mitra and Tinku Acharya, “Gesture Recognition: A Survey”, IEEE Transactions on Systems, Man and Cybernetics-Part C: Applications and Reviews, Vol.n 37(3), pp. 56-68, May 2007. 2. Akhil Gupta, Akash Rathi, Dr. Y. Radhika, “Hands-free pc control, controlling of mouse cursor using eye movement”, International Journal of Scientific and Research Publications, vol. 2, issue 4, ISSN 2250-3153. pp. 1-5, April 2012. 3. Prof. R. W. Jasutkar, Ms. Shubhangi J. Moon, “ A Real Time Hand Gesture Recognition Technique by using Embedded device”. International Journal Of Advanced Engineering Sciences And Technologies, vol. 2, issue no.1, pp. 043–046 may 2005. 4. Zhi-gang XuHong-lei Zhu,“Vision-based Detection of Dynamic Gesture”, International Conference on Test and Measurement, vol. no. 6 issue no.8 pp. 89-90, may 2010. 5. Michal Lech, Bozena Kostek,“Gesture-based Computer Control System applied to the Interactive Whiteboard” Proceedings of the 2nd International Conference on Information Technology, vol. no.06 pp. 28-30, June 2010. 6. Prateek Agrawal, Kunal Gupta. “Mouse Movement Through Finger By Image Grabbing Using Sixth Sense Technology”, International Journal Of Engineering Science & Advanced Technology vol-2, Issue-2, pp.245 – 249, march-april 2012. 7. Hae Jong Seo, Peyman Milanfar “A Review on Action Recognition from One Example”, IEEE Transactions on Pattern Analysis And Machine Intelligence, vol. 33(5), may 2011. 8. M. A. MONI and A B M Shawkat Ali., “HMM based Hand Gesture Recognition: A Review on Techniques and Approaches”. 9. S.B. Wang et al. “Hidden Conditional Random Fields for Gesture Recognition”. IEEE Computer Society Conference on Computer Vision and Pattern Recognition, volume 2, 2006. 10. Denis Amelynck, Maarten Grachten, Leon Van Noorden, and Marc Leman. “Toward E-Motion-Based Music Retrieval a Study of Affective Gesture Recognition”, IEEE transactions on affective computing, vol. 3, no. 2, april-june 2012. Abstract: Ferroelectric materials (FEM’s) are very attractive because their dielectric constant can be modulated under the effect of an externally applied electric field perpendicular to the direction of propagation of a signal. In this paper, classification, properties and application of ferroelectric material for the fabrication of microstrip patch antennas is discussed. Keywords: Ferroelectric materials and Microstrip patch antenna. 1. J. Valasek, “Piezoelectric and Allied phenomena in rochelle salt,” Phys.Rev., 17, 475–81 (1921). 2. L. E. Cross and R. E. Newnham, “History of ferroelectrics”; pp. 289–305 in Ceramics and Civilization, Vol. III, High-technology ceramics—past, present,and future. American Ceramic Society, Westerville, OH, 1987. 3. J. Fousek, “Ferroelectricity: Remarks on historical aspects and present trends,” ferroelectrics, 113, 3–20 (1991). 5. Gene H. Haertling, “Ferroelectric ceramics: history and technology” manuscript no. 189612. received january 20, 1999; approved march 1, 1999. 6. Z.P. Cao, A.L. Ding, X.Y. He Zhang and X. Zeng, “new lead- free ferroelectric materials for high-temperature applications: Nb-doped Bi3.5Nd0.5Ti3O12” keyEngineering Materials Vols.280-283(2005) pp247-250. 7. Kanareykin, E.Nenasheva, V.Yakovlev and A.Dedyk, “Fast switching ferroelectric materials for accelerator applications” aipconf.proc.877:311-319, 2006. 8. Nahum Masó and Anthony R. West, “A new family of ferroelectric materials: me2nb4o11 (me = na and ag)” supplementary material (esi) for journal of materials chemistry 2010. 9. Yan Sui, Dong-Sheng Liu and Rong-Hua Hu, “A new type of organic ferroelectric material based on maleopimaric acid anhydride” advanced material research vols. 239-242(2011) pp 1180-1183. 10. Sachio Horiuchi and Yoshinori Tokura, “Organic ferroelectrics,” nature materials, vol 7, may 2008, 357-360. 11. Daigo Miyajima, Fumito Araoka, Hideo Takezoe, Jungeun Kim, Kenichi Kato, Masaki Takata and Takuzo Aida,“Ferroelectric columnar liquid crystal featuring confined polar groups within core-shell architecture”, Science, april 13,2012, vol 336 no. 6078 pp. 209-213. 12. M.E. Lines and A.M. Glass, “Principles and applications of ferroelectric and related materials”, clarendon press, oxford, 1977. 13. B. Ravel, N. Sicron, Y. Yacoby, E.A. Steru, F. Dogan and J.J. Rehr, “Order-disorder behavior in the phase transition of pbtio3,” may 11,1995. 14. Gaurav Kumar Aggarwal, Ashok Kumar and UC Naithani, “Electric field dependent specific heat of SrTiO3, BaTiO3 and KTaO3 ferroelectric perovskites,” International Journal of Modern Engineering Research (IJMER) Vol.2, Issue.4, July-Aug. 2012 pp-2438-2444. 15. K.A. Muller, Y. Luspin, J.L. Servoin and F. Gervais, “Displacive-order-disorder crossover at ferroelectric-paraelectric phase transitions of BaTiO3 and LiTiO3,” J. physique letters 43(1982),L-537- L-542. 16. Dalibor Merunka and Boris Rakvin, “Displacive and order–disorder behavior of KDP-type ferroelectrics on the local scale,” solid state communications 129 (2004) 375–377. 17. Young-Han Shin, Jong-Yeog Son, Byeong-Joo Lee, Ilya Grinberg and Andrew M Rappe “Order–disorder character of PbTiO3,” J. Phys. : Condens. Matter 20 (2008) 015224 (5pp) . 18. Mirosław Maczka, Jerzy Hanuza, Andrzej Majchrowski and Seiji Kojima, “Direct evidence of an order-disorder nature of ferroelectric phase transitions in K2MgWO2(PO4)2,” applied physics letters 90, 122903 (2007). 19. von. Hippel, Rev. Modern Phys., 22, 221 (1950). 20. Fabio Bernardini and Vincenzo Fiorentini, “Spontaneous polarization and piezoelectric constants of III-V nitrides,” The American Physical Society, volume 56, number 16,10024(4), 15 october 1997. 21. W. J. Merz, Phys. Rev., 76, 1221 (1949). 22. Bruno Andò, Pietro Giannone, Salvatore Graziani and Nicola Pitrone, “Characterization of the dielectric and pyroelectric properties of ferroelectric material,” IEEE transactions on instrumentation and measurement, vol. 57, no. 9, september 2008, 1939-1948. 23. Shen Ming-Rong, Yao Dong-Lai and Cao Wen-Wu, “Pyroelectricty and spontaneous polarization in  oriented 0.955Pb (Zn1/3Nb2/3)O3- 0.045PbTiO3 single crystals,” Chinese physical society, vol. 22,no 9 (2005) 22390. 24. Hui Chen, Tianquan Lu, Chuanwen Chen and Wenwu Cao, “Theoretical studies on the pyroelectric properties of two component composite ferroelectric thin film,” Physics Letters A 360 (2006) 357–361. 25. Sidney B. Lang, “Pyroelectricity: from ancient curiosity to modern imaging tool,” American Institute of Physics, August 2005(31-36). 26. Sharma, Z.-G. Ban, S. P. Alpay and J. V. Mantese, “Pyroelectric response of ferroelectric thin films,” Journal of applied physics volume 95, number7, 1April 2004, 3618-3625. 27. Y. C. Shu and K. Bhattacharya, “Domain patterns and macroscopic behaviour of ferroelectric materials,” Philosophical magazine b, 2001, VOL. 81, NO. 12, 2021-2054. 28. Jiri Erhart and Wenwu Cao, “Effective material properties in twinned ferroelectric crystals,” Journal of applied physics, volume 86, number 2, 15 july 1999, 1073-1081. 29. G. Rosenman, A. Skliar, I. Lareah, N. Angert, M. Tseitlin and M. Roth, “Observation of ferroelectric domain structures by secondary-electron microscopy in as-grown KTiOPO4 crystals,” Physical review b, volume 54, number 9, 1 september 1996,6222-6226. 30. WENWU CA0 and CLIVE A. RANDALL, “Grain size and domain size relations in bulk ceramic ferroelectric materials,” J. Phys. Chem Solie Vol57, No. 10, pp. 149-1505, 1996. 31. B. Andò, P. Giannone, S. Graziani, and N. Pitrone, “Characterization of hysteresis in ferroelectric devices,” in Proc. IEEE IMTC, Como, Italy, 2004, vol. 1, pp. 558–563. 32. Y. Xu, “Ferroelectric Materials and their Applications” (North Holland, Amsterdam, 1991). 33. John Bechhoefer, Yi Deng, Joel Zylberberg, Chao Lei and Zuo-Guang Ye, “Temperature dependence of the capacitance of a ferroelectric material,” Am. J. Phys. 75, 1038–1046 -2007. 34. Jens Kreisel, Beatriz Noheda and Brahim Dkhil, “Phase transitions and ferroelectrics: revival and the future in the field,” Phase Transitions Vol. 82, No. 9, September 2009, 633–661. 35. Q. Jiang, X.F. Cui and M. Zhao, “Size effects on Curie temperature of ferroelectric particles,” Appl. Phys. A (2002). 36. Biao Wang and C. H. Woo, “Curie temperature and critical thickness of ferroelectric thin films,” Journal of applied physics 97, 084109 (2005). 38. T. Yu, Z. X. Shen, W. S. Toh, J. M. Xue, and J. Wang, “Size effect on the ferroelectric phase transition in SrBi2Ta2O9 nanoparticles,” Journal of applied physics volume 94, number 1 1 JULY 2003, 618-620. 39. F. M. Pontes, S. H. Leal, E. R. Leite, E. Longo, P. S. Pizani, A. J. Chiquito and J. A. Varela, “Investigation of phase transition in ferroelectric Pb0.70Sr0.30TiO3 thin films,” Journal of applied physics volume 96, number 2 15 JULY 2004,1192-1196. 40. Jozef Modelski and Yevhen Yashchyshyn, “New type of microstrip antenna with ferroelectric layer,” journal of telecommunications and information technology,2001,37-40. 41. J. B. L. Rao, D. P. Patel, and V. Krichevsky, “Voltage-controlled ferroelectric lens phased arras”, IEEE Trans. Anten. Propagat., vol. 47, no. 3, pp. 458–468, 1999. 42. T. Zhao, D. R. Jackson, J. T. Williams, and A. A. Oliner, “General formulas for 2D leaky-wave antennas,” IEEE Trans. Antennas Propag., vol. 53, no. 11, pp. 3525–3533, Nov. 2005. 43. Giampiero Lovat, Paolo Burghignoli and Salvatore Celozzi, “A tunable ferroelectric antenna for fixed-frequency scanning applications,” IEEE antennas and wireless propagation letters, vol. 5, 2006,353-356. 44. G. Subramanyam, K. Leedy, C. Varanasi, R. Neidhard, K. Stamper, and M. Calcatera, “A low voltage tunable analog phase shifter utilizing ferroelectric varactors,” Integrated Ferroelectrics, vol. 100, no. 1, pp. 156– 164, 2008. 45. G Subramanyam, F. Ahamed, and R. Biggers, “A Si MMIC compatible ferroelectric varactor shunt switch for microwave application,” IEEE Antennas Wireless Propagat. Lett., vol. 15, no. 11, pp. 739–741, 2005. 46. Hai Jiang, Mark Patterson, Chenhao Zhang, and Guru Subramanyam, “Frequency tunable microstrip patch antenna using ferroelectric thin film varactor,” IEEE trans. Antenna propagate.,vol 978, no. 1,pp 248-250,2009. 47. B. Su, J.E. Holmes, C. Meggs and T.W. Button, “Dielectric and microwave properties of barium strontium titanate (BST) thick films on alumina substrates,” Journal of the European Ceramic Society 23 (2003) 2699–2703.